White Card Training Courses will take place on the 8th and 15th of February with Workplace Training Group. This unit of competency specifies the mandatory work health and safety training required prior to undertaking construction work. Course Cost – Only $135 per person! Corporate Discounts available! 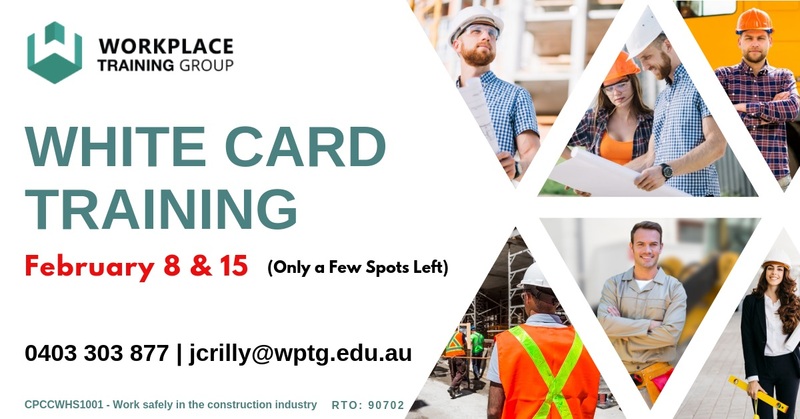 Contact James Crilly at 0403 303 877 or jcrilly@wptg.edu.au to enroll today! Be quick, there are only a few spots available!! !